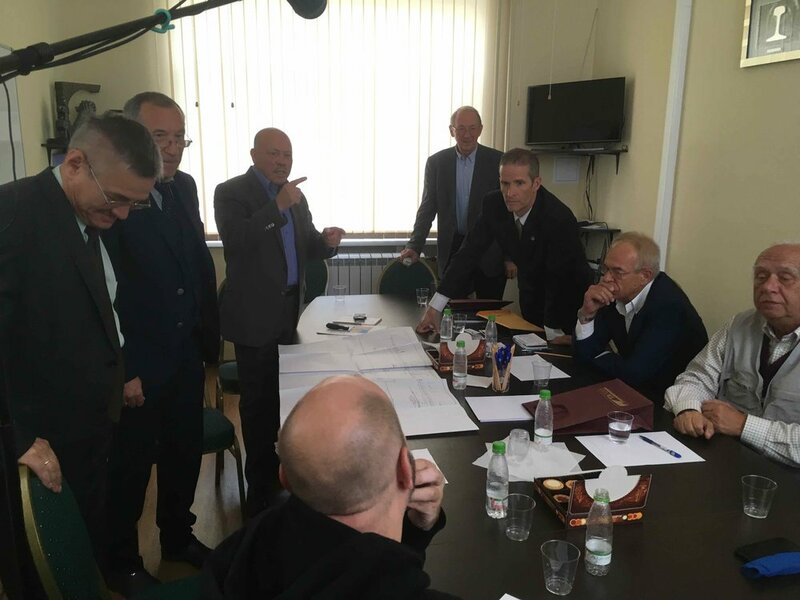 The InterContinental Railway team arrived in Moscow on September 27th to attend a round table discussion about the ICR at the Russian State Duma. It was a great honour for the team to present this ambitious international project at the parliamentary level in the Russian Federation. This was the first of many meetings with high-ranking members of the Russian government and railway industry. ICR co-founder Victor Razbegin provides an overview of the InterContinental Railway project. ICR co-founder George Koumal gives a valuable history lesson on US-Russian relations. ICR Chief Project Advisor Scott Spencer discusses US-Russian cooperation. The round table participants vow solidarity on the InterContinental Railway during the Duma session. The InterContinental Railway team unveil the Russian version of the ICR flag at the Russian State Duma. 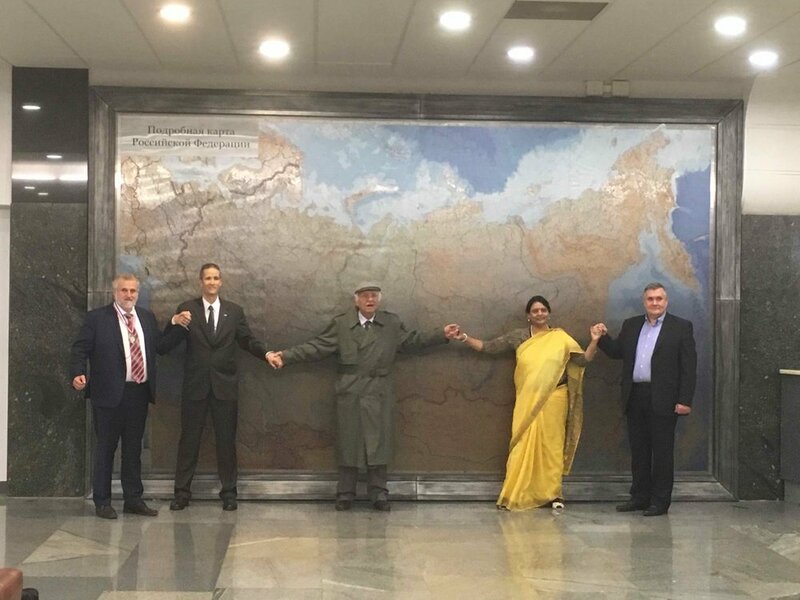 The InterContinental Railway team with their new friends in front of a giant map of Russia at the Russian State Duma. The InterContinental Railway team meet with Dr. Fedor S. Pekhterev, General Director of the Joint Stock Company IEDT Institute of Economy and Development of Transport, to discuss ways of promoting the InterContinental Railway and bringing together US, Russian and Asian partners. The Intercontinental Railway team listen to a presentation by the Russian Tunnelling Association about its analysis of and design ideas for the InterContinental Railway. 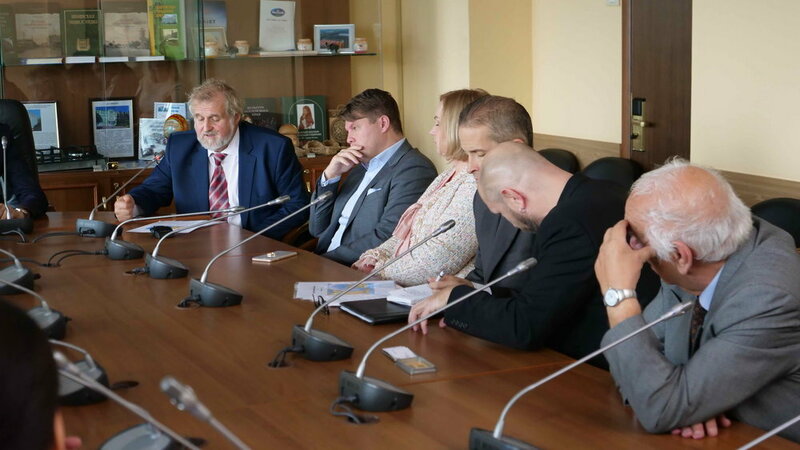 The InterContinental Railway team meet with Father Pimen, a top bishop of the Russian Orthodox Church, at the Patriarch Court to discuss how to gain the church’s support for the ICR. 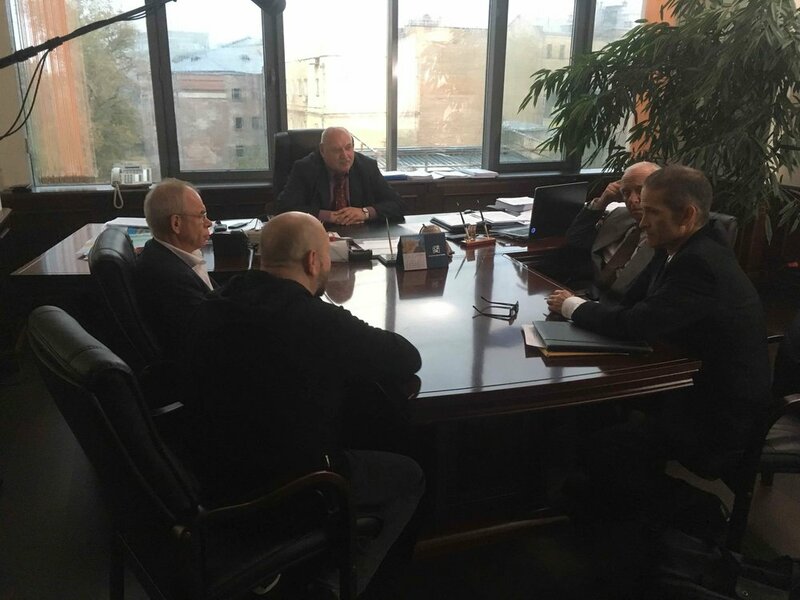 The InterContinental Railway team meet with Aslambek Aslakhanov, long-time advisor to President Vladimir Putin. During the early 2000s, Mr. Aslakhanov led a presidential team in charge of researching the feasibility of the InterContinental Railway. It has remained a passion project of his ever since. Mr. Aslakhanov emphasised the need to take the ICR directly to the cabinet level in both Russia and the US and to get it into the hands of President Putin and President Trump. 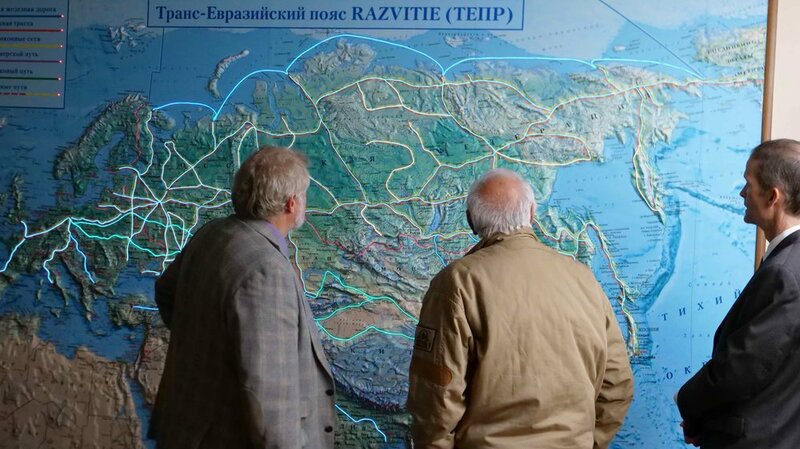 The InterContinental Railway team Victor Razbegin, George Koumal and Scott Spencer examine the map on the wall of the Russian Academy of Sciences showing the current and planned transportation routes in the Russian Federation, Europe and Asia. At the top right is the planned rail connection for the InterContinental Railway across the Bering Strait to Alaska.